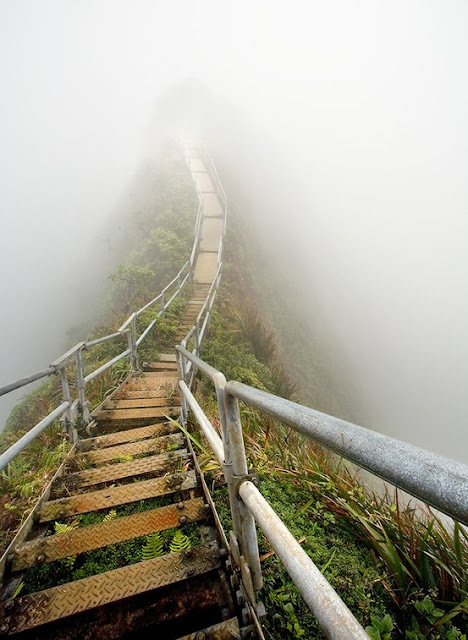 The Ha'iku Stairs, also known as the Stairway to Heaven or Haiku Ladder, is a steep hiking trail on the island of Oahu. 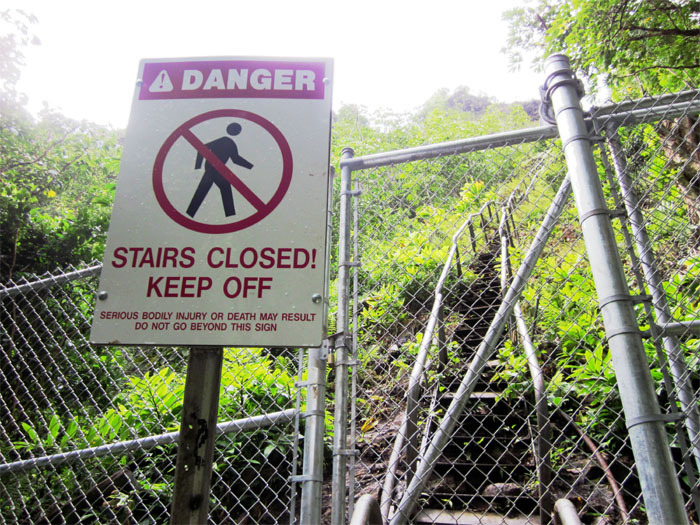 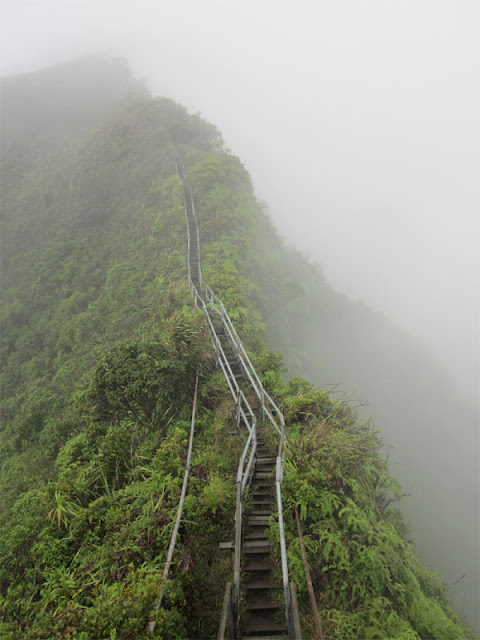 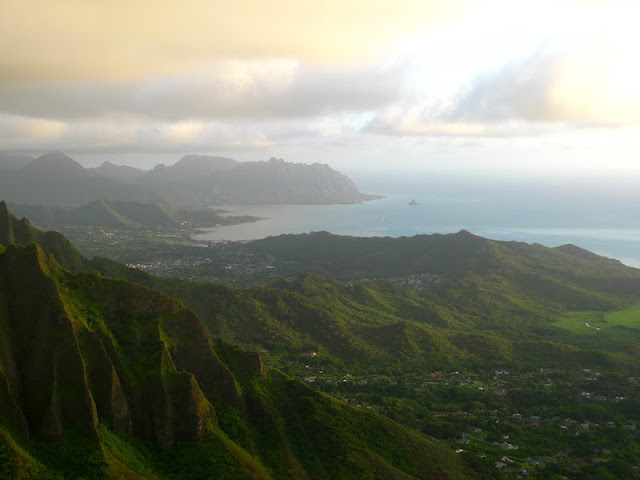 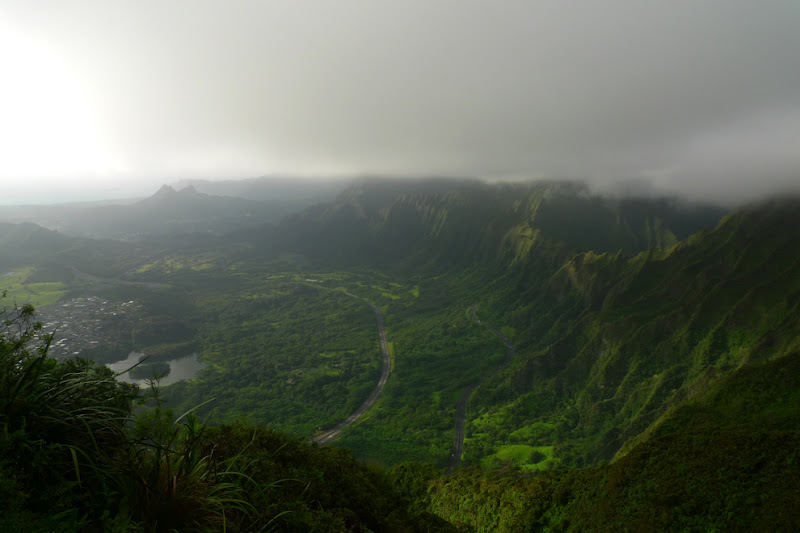 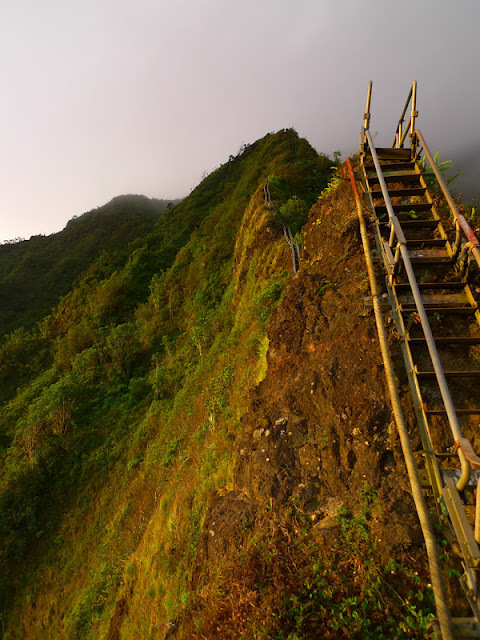 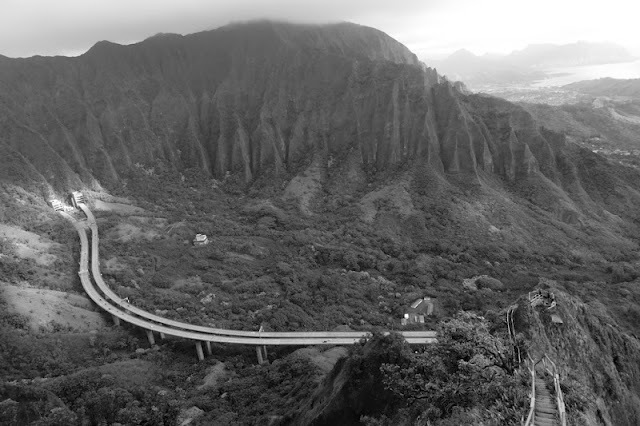 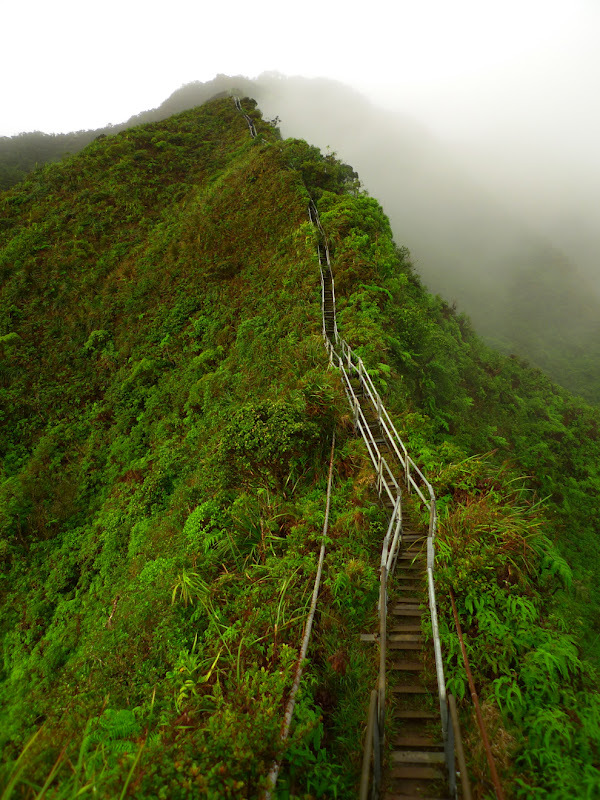 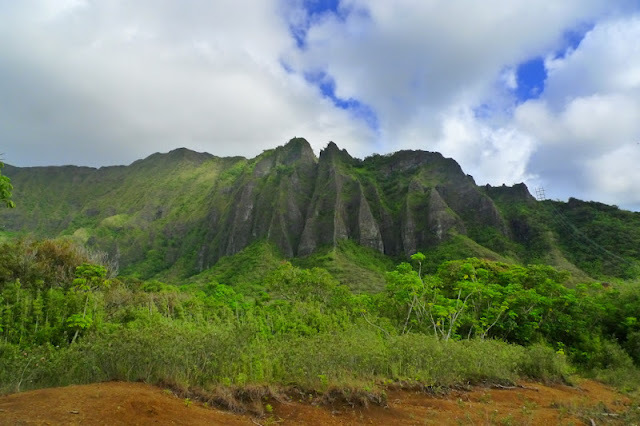 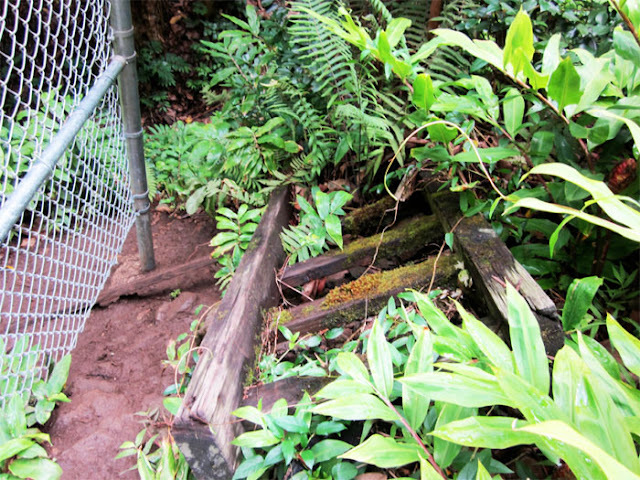 The trail began as a wooden ladder spiked to the cliff on the south side of the Haiku Valley. 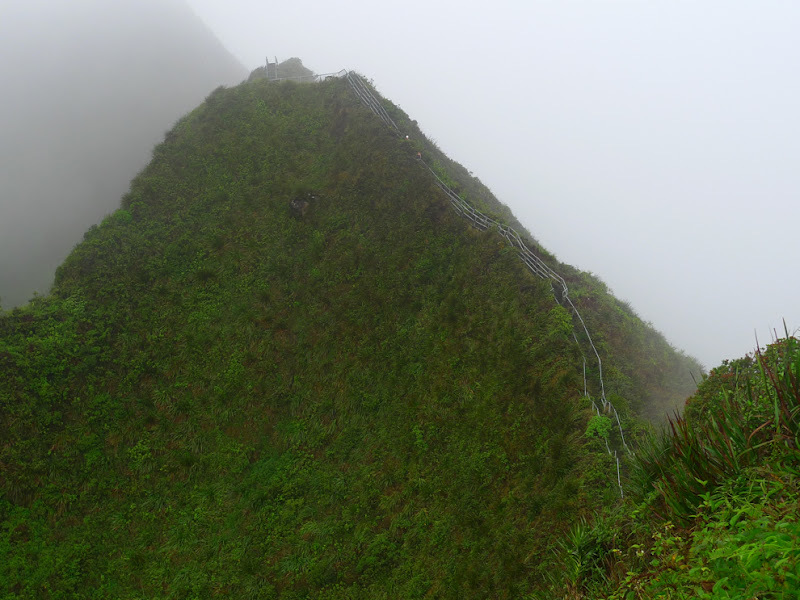 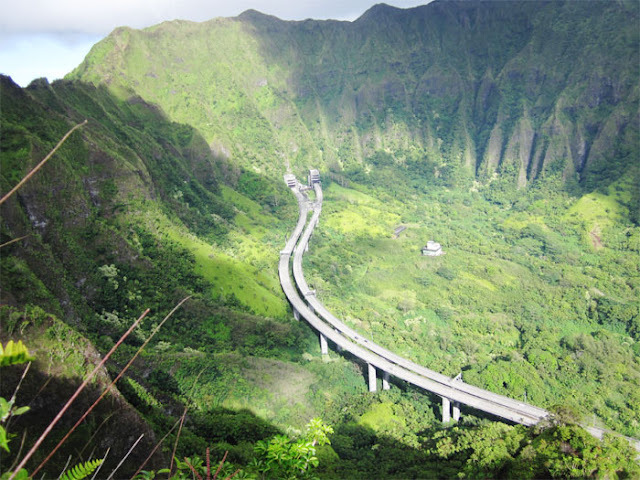 It was installed in 1943 to enable the construction of antenna cables that would be strung from one side of the cliffs above Haiku Valley to the other. 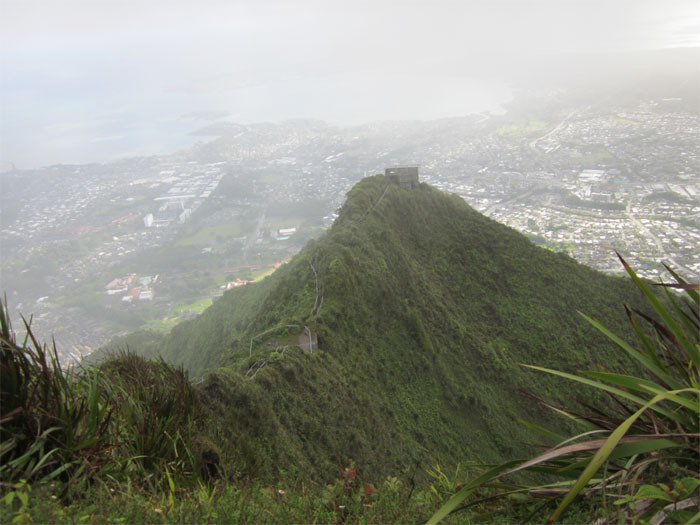 A building to provide a continuous communication link between Wahiawa and Haiku Valley Naval Radio Station was also constructed at the very peak of Puukeahiakahoe, elevation at about 2800 feet. These extraordinary antennas transmitted very low frequency radio signals from a 200,000-watt Alexanderson alternator located in the center of Haiku valley. 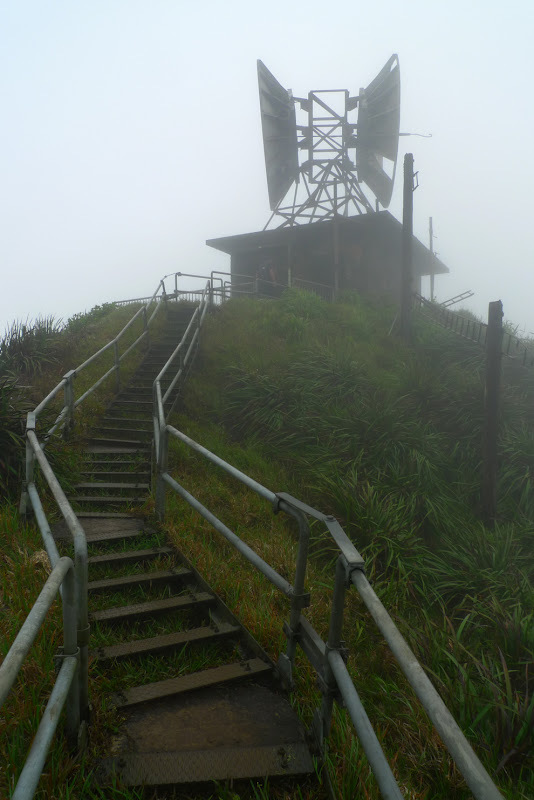 The signals could reach US Navy submarines as far away as Tokyo Bay even while the submarines remained underwater. When the Naval base was decommissioned in the 1950s the United States Coast Guard used the site for an Omega station. 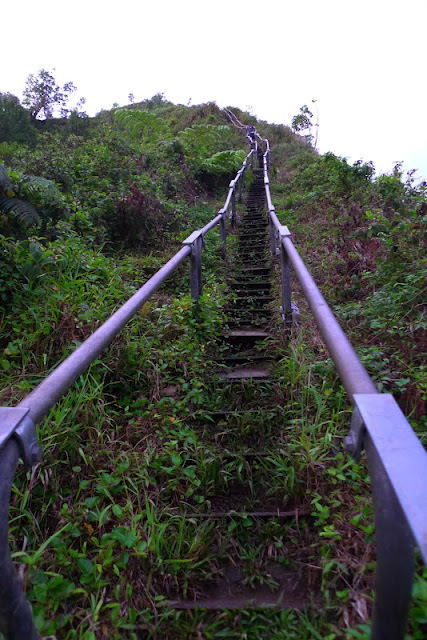 In the early 50s, the wooden stairs were replaced by sections of metal steps and ramps — by one count, 3,922 steps. 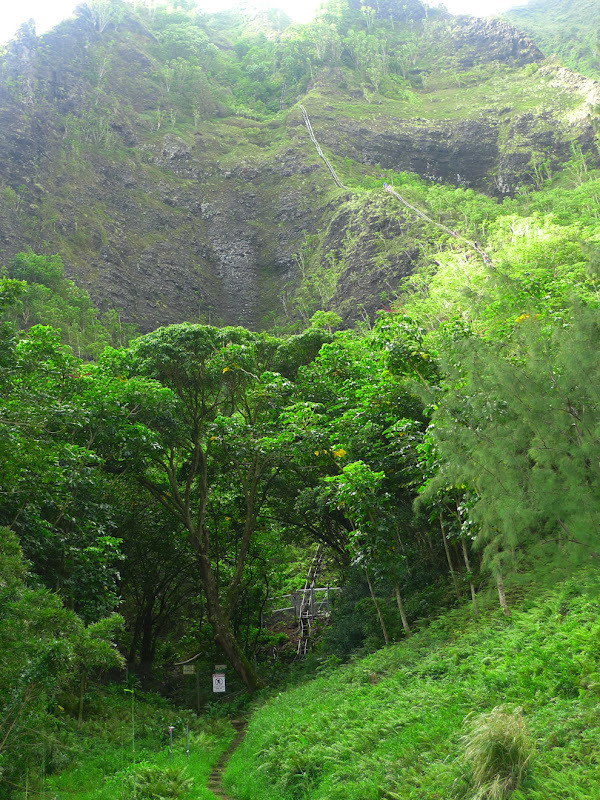 The station and trail were closed to the public in 1987. 2 responses to "Haiku Stairs"